Wireframes provide a framework for an online course, using placeholders for text and graphics. At a deeper level, wireframes determine how a learner will interact with the course. A wireframe consists of the menu, buttons, and instructions. A wireframe is commonly used to specify the layout of slides and functionality of an e-learning course. 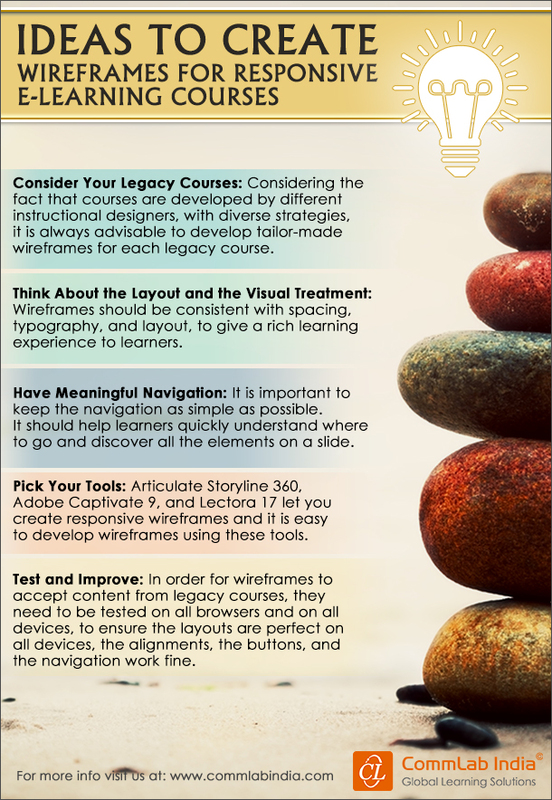 For ideas to create effective wireframes for your responsive e-learning, check our infographic.